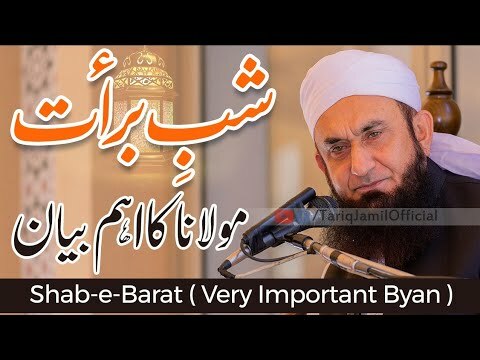 Maulana Tariq Jameel regularly delivers lectures and speeches encouraging people to follow Islamic values and principles and put them into practice in their everyday life. He emphasizes non-political, non-violent, non-sectarian Islam. He travelled all over the world for this purpose and he delivered alot of lectures to the world to convince them that stay on the right place on the right path for success and leave the wrong way and the wrong place. He travel number of Islamic countries to spread this message. He looks very charming and he has fine voice to deliver Islamic lectures that peoples understand very well. He is now one of the most inspiring Preacher of Islam. And people love to listen him in urdu. Maulana Tariq Jameel was born in January 1953 near Multan city. His father was an agriculturist and was known a respected personality in his the local area. Maulana Tariq Jameel completed his H.S.S.C education in pre-medical group from Govt College university Lahore and after this he got admission in king Edward medical college Lahore. He was interested in M.B.B.S but very soon he switch his interest towards Islamic education. Then he got Islamic Education from Jamia Arabia, Raiwind where he studied Quran, Sharia, Hadis Fiqh and tasawwuf. Due to the simple lifestyle he got alot of respect from all over the world in Muslim society. He has a simple style of explaining the purpose of life and purpose of creation of human life. He has the best way explain the purpose of human life. Maulana Tariq Jameel delivered the religious lectures to the all the professionals which includes cricketing personalities, tv artists, singers, doctors, professors, engineers, and lot of others professionals of all around. Efforts of Maulana Tariq Jameel brought real change in the lifes of the people related to these professions. Such as Muhammad Yousuf was accept Religion Islam and other personalities who change their life style and brought themselves into right path are saeed anwar, Saqlain Mushtaq, Saleem Malik, Inzamam-ul-haq Mushtaq ahmad andlot of other personalities and one personality to whome I will not forget to write is Junaid Jamshed who was a singer and Maulana Tariq Jameel work on it try his best to get this person on the right and at last he was successful when Junaid jamshed has been brought into right path and leave the career of singing and start spreading islam in all over the world and reciting Naats. Maulana Tariq Jameel teach the people in his lectures on Islamic issues and social concern. He teach the people that how to live your life according to sunnah and hadis. He always says the muslims that do tauba for your past life and try your best not to do that bad activities again in your life and pray from ALLAH to give ability to restrict yourself from those bad activities. Moulana Tariq Jameel is born on January 1953 in Multan. He got his secondary education from University of Lahore. Soon he started taking interest in Islam. For Islamic Education he joined Madrassa of Arabia. There he learnt Quran Hadith and Sharia. Later he bacame one of the most famous Scholar of Pakistan. He visited many countries to spread the teching of Islam.